Grab your bags… It’s time to escape! Anyone who’s lived in Belgium for a while knows, sometimes you just need to escape – be it for better weather, better customer service or just a change of scenery. Luckily, there are a variety of ways to leave Belgium and an endless supply of places to visit. Here on CheeseWeb, we write about travel a lot, but we don’t often write about how we travel. That’s about to change. From now on, when we post about a particular destination, we’ll give you the details on how you can get there from Belgium too, just in case we’ve inspired you to follow in our footsteps. Belgium is a hub for international air travel and Brussels Airport in Zaventem offers endless possibilities for flights. Most international airlines have a presence at Brussels Airport and all of the major alliances have partners there. Wikipedia has a comprehensive list of airlines that operate in Brussels if you need inspiration for your next getaway. Brussels Airport is also the hub for Brussels Airlines. In our experience, Brussels Airlines is giving some of the low-cost carriers a run for their money. With frequent specials, the fares can be quite reasonable and you don’t have the baggage restrictions, free-for-all for seating and general hassles of that blue and yellow airline we love to hate. Brussels Airlines is also partnered with Star Alliance, so if you are a frequent flyer you can earn status miles unlike on the low-cost carriers. Although parking long term can be costly, there are a variety of ways to get to Brussels Airport without your car. If you live in the city centre, like us, the train is a direct and easy option. The Brussels airport website includes great information on how to get to the airport; be it by train, car, bus or bike. Brussels Airport may be the largest in Belgium, but it certainly isn’t the only option. There are also international and regional flights from Antwerp Airport and Ostend-Bruges Airport in Flanders and Liege Airport and Charleroi Airport (also known as Brussels South) in Wallonia. If you are looking for cheap airfares and are interested in bundling your flight with hotel and/or car rental, it is also worth looking at charter flights from Belgium. Thomas Cook, Neckerman and JetAirFly are three of the largest but there are many smaller operators as well. I recently booked a package holiday with Neckerman and was pleasantly surprised at the level of service on the Thomas Cook operated charter flight. For a comprehensive list of airlines flying to and from Belgium, check out Skyscanner. You can also enter your destination country to see, at a glance, which airlines operate between the two countries. Rail service in Belgium is convenient, usually reliable and very easy to use. The national rail company is SNCB and it connects with rail lines in The Netherlands, Germany, Luxembourg and France. You can book European rail holidays directly through the SNCB Europe website and take advantage of packages with rail operators in other countries. Unlike regional rail travel, international train ticket prices can vary widely, depending when and where you book. If you roll up to the station on the day you want to travel, expect to pay as much or more than a flight to the same destination. But, like flights, if you book in advance, the price is often much lower. Booking on-line is almost always cheaper than booking in person, so try to plan ahead. Subscribe to the email list of the major rail companies to be notified of special fares. We love a good road-trip and driving out of Belgium is pretty straightforward. For North Americans, used to long distances, it’s easy to find yourself driving through several countries in a day. While it may take longer than flying, there is no restriction on how much luggage you can carry. Instead of worrying if the wine you fell in love with in Provence will fit in your suitcase, you can fill your trunk with cases you bought straight from the vineyard. You also have the flexibility to go where you want, when you want without lining up for hours in security. If you don’t own a car, there are many options for renting vehicles in Belgium. All of the major international chains operate here as well as a few local companies. It is also worth considering car sharing companies like Cambio if you are planning a series of smaller trips or weekend getaways. If you don’t want to do the driving yourself, you can hitch a ride through Taxistop, a carpooling website that connects drivers and those willing to share fuel costs for the trip. You can also use BlaBlaCar for carpooling in Belgium, but for some reason you need to visit the UK website to see the options. While researching this post, we also discovered an interesting option for those of you who don’t like to drive long distances, but still want the flexibility of having your car when you reach your destination. If you drive to Paris or Dusseldorf, you can put your car on a train and travel to Avignon, Biarritz, Bordeaux, Narbonne, Nice and Saint-Raphaël in the south of France. The service is called Motorail and can be booked through SNCB. Maybe you can travel back on the train with cases of wine after all. OUIBUS (formerly iDBUS) – Created by SNCF, OUIBUS has a network of lines connecting Brussels to London, Lille, Paris, Aachen, Amsterdam, and more. 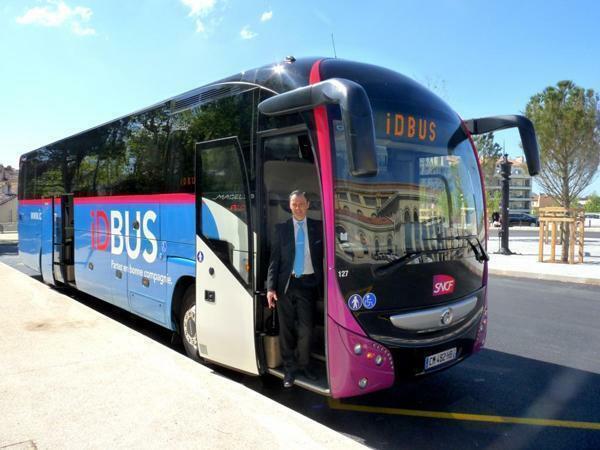 Read our full review of iDBUS. Eurolines – A network of destinations throughout Europe. With only 69km of coastline, travelling from Belgium by boat may not immediately spring to mind, but it is possible. P&O Ferries travel from Zeebrugge to Hull in England. Transeuropa ferries operate between Ostend and Ramsgate. So whether you are desperate to soak up some vitamin D on a sandy beach, or itching to go on an epic adventure, there are plenty of ways to leave Belgium. Now the only question is where are you going to go? Did we leave out your favourite way to leave Belgium? Help us grow this resource by letting us know in the comments.